Byblos Bakery started in 1975 and has grown since then to be the Number 1 Branded Pita Bread in Western Canada. Our bakery has seen tremendous growth, from hand-made pita bread in 1975 to today's state-of-the-art technology which allows us to provide fresh, high quality pitas, naans, bagels and tortilla wraps to our customers all over Western Canada. Byblos Bakery products are well-suited to today's high demands for quick, nutritious meals and snacks. As part of Canada's Food Guide to Healthy Eating, our products allow individuals to make healthy food choices in their daily life. Our products are also superbly versatile and easily embrace and enhance a variety of international cuisines. 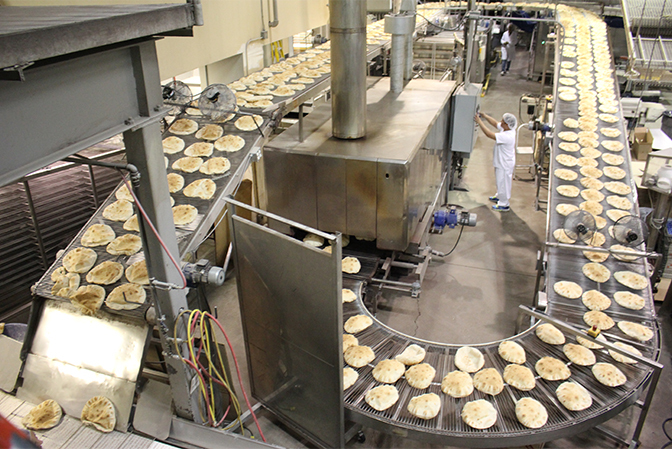 Byblos Bakery is one of the largest suppliers of pita in Western Canada with distribution throughout major grocery retailers. We ship pita throughout Western Canada as well as into the United States. 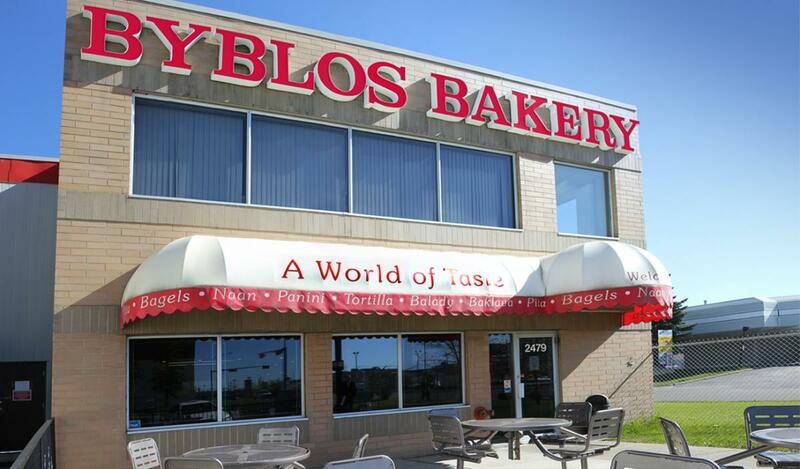 Byblos Bakery Ltd. is your one stop shop for Pita Bread, Bagels and Tortilla for anywhere in the world. Byblos Bakery has a certified Food Safety program under the supervision of our own certified Quality Assurance Manager. We are able to ship you our Byblos Brand baked goods or supply you with a high quality product to fit your Private Label Program. We can ship your pita frozen to you for a cost effective thaw and sell program and allow you to manage your pita category more efficiently. Byblos Bagels are available in any format that suits your needs. We can provide you with high quality bagels fully baked (thaw and sell), Par-baked or frozen dough.